Transfer from airport to Stratosphere or similar hotel and check in. Stratosphere is close to all the excitement, at the northern tip of the Strip in Las Vegas .Within minutes of downtown Las Vegas and the Fremont Street Experience. Just one mile from the Las Vegas Convention Center. Less than five miles from McCarren International Airport (LAS). Breakfast. City tour on SIC basis. Tour time approx. 9.30 am. Concept Journeys to USA – FIT Products 12 Join us for a day of “FUNTIVITIES” - Fun and Activities as you start your self guided tour at the Clark County Heritage Museum. Encounter early life in the valley from prehistoric times through the 20th century. A must see history tour of the region. 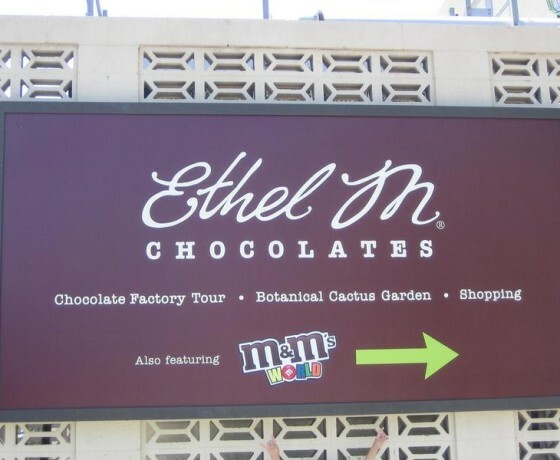 Then on to The Ethel M Chocolate Factory and Botanical Gardens. 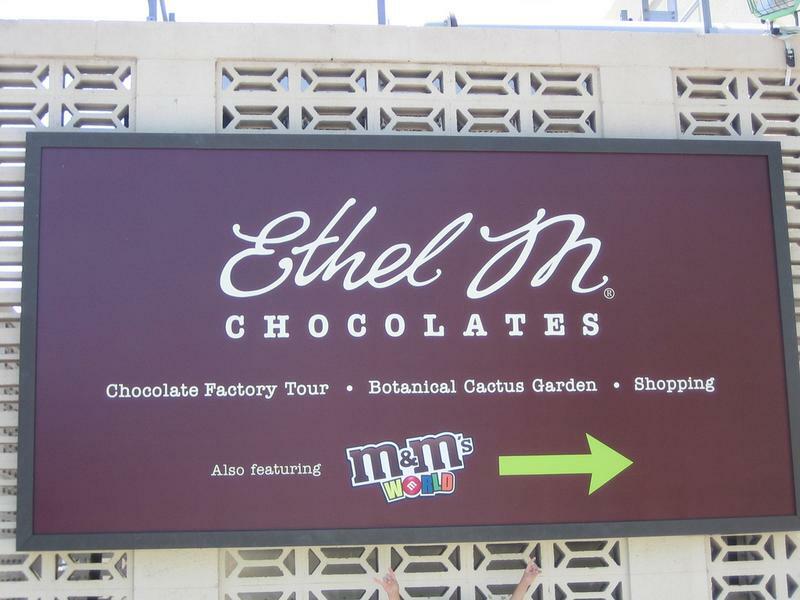 There is nothing quite like enjoying chocolates as you wander through 3 breath taking acres of cactus and succulents. The garden demonstrates some of the best examples of native plants to this region of the country. After leaving Ethel's place you’ll take a leisurely ride passing right by the home of “Mr. Las Vegas”, Wayne Newton’s Shenandoah Estate to the Famous Las Vegas Strip. Our guide will tell you stories about Las Vegas starting at the south end of the strip at the “WELCOME TO FABULOUS LAS VEGAS” icon sign. Hear about our famous hotels and some very colorful characters that helped build this great city. What was there, what is here now and what we think is coming, all this on your way to “old” Las Vegas and The Freemont Street Experience. After a brief stop at Freemont Street to see where it all began in 1905, it’s off again to the Strip. But this time, for lunch and entertainment at the V-theater and Miracle Mile Shops at Planet Hollywood. You will have your choice to eat at one of four great restaurants Cheeseburger Las Vegas, La Salsa Cantina, Blondie’s American Grill or Lombardi’s Italian Restaurant. After lunch you will enjoy the V-Theater’s afternoon show “AMAZED”. This show combines the magic of comedy and music at its funniest. Meet up with our tour guide directly after the show to get you back to your hotel or stay on your own to shop and play. DAY 03:Transfer to Los Angeles. Breakfast. Transfer to airport for flight to Los Angeles. (Flight not included). Transfer to Wilshire plaza or similar and check in. Wilshire Plaza is the most centrally located of all the Wilshire Center hotels. Situated perfectly in the heart of the Wilshire Center business district, our full service Mid-Wilshire hotel is ideal for business, corporate, government and leisure travelers. Breakfast. City tour around 9 am. This tour will take you throughout America's most exciting city. Mann's Chinese Theatre is famous for its permanent collection of handprints, footprints and signatures of movie stars such as Elizabeth Taylor, Marilyn Monroe and many others. 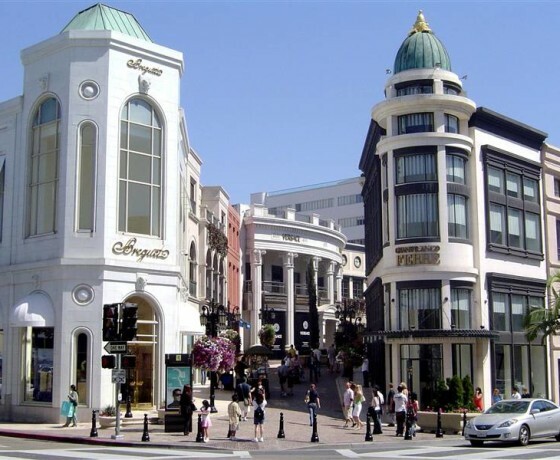 Take a stroll on the Hollywood Walk of Fame and then head straight to Beverly Hills and Rodeo Drive. See where the stars shop and browse in exclusive shops like Fred Hayman, Giorgio Armani, Gucci. Visit some of the magnificent homes of selected movie stars. 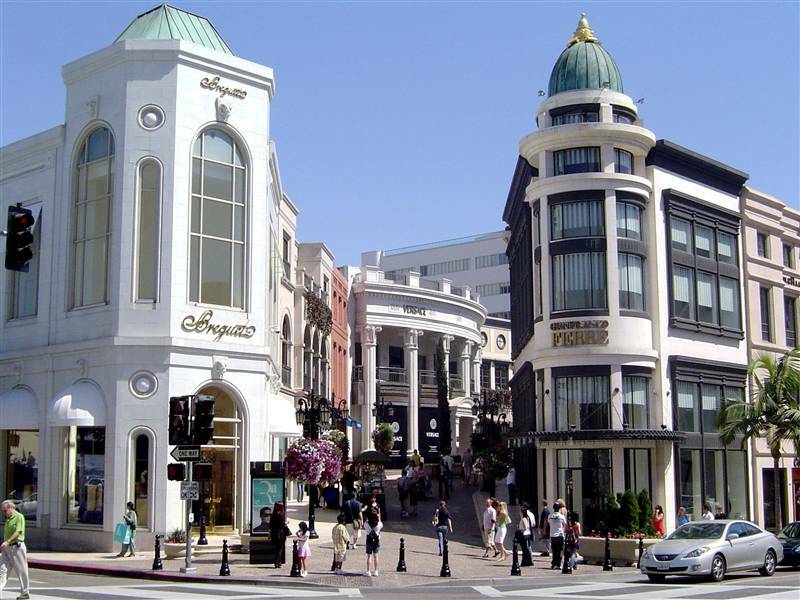 Next to Beverly Hills is Century City, the business center of the entertainment industry and home of 20th Century Fox Movie Studios. On to Farmers Market where the food is the freshest, the produce only the best and gift shops are unique. Approximate tour duration not including pick up and drop off times 4 ½ hours. DAY 05: Transfer to San Francisco. Breakfast. Transfer to airport for flight to San Francisco. (Flight not included). Transfer to Opal hotel or similar and check in. In the heart of the City by the Bay stands The Opal San Francisco, a classic hotel that has welcomed guests since 1908. Be transported back to a grander era -- when the daily flow of guests in their finest attire lent a dignified yet dynamic energy. Discover an elegant, turn-of-the-century ambiance that surpasses many San Francisco Union Square hotels. 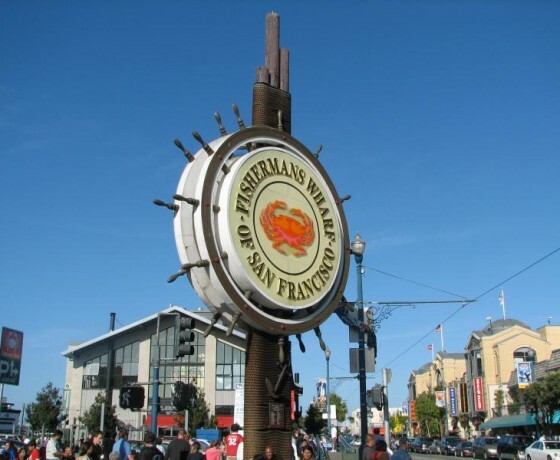 Hop aboard the iconic Cable Cars and explore world-famous attractions such as Fisherman’s Wharf, the Golden Gate Bridge, and Chinatown in just minutes. Don’t settle for a typical Union Square San Francisco hotel. Legendary and grand, the Opal Hotel offers excellent value and a prestigious destination for couples, families, and vacationers in their golden years. Breakfast. City tour around 9 am for about 4 hours. Experience San Francisco Francisco’s colorful past as you travel through history – from the first settlements of Native Americans – to a cosmopolitan city of beautiful architecture – from the Wild West and the frenzied days of the “Gold Rush” – to the vibrant culture that Concept Journeys to USA – FIT Products 14 flourishes today. Be awe-inspired by the magnificence of the Golden Gate Bridge, enjoy the lush gardens of Golden Gate Park, travel past spectacular views of the Pacific Ocean. 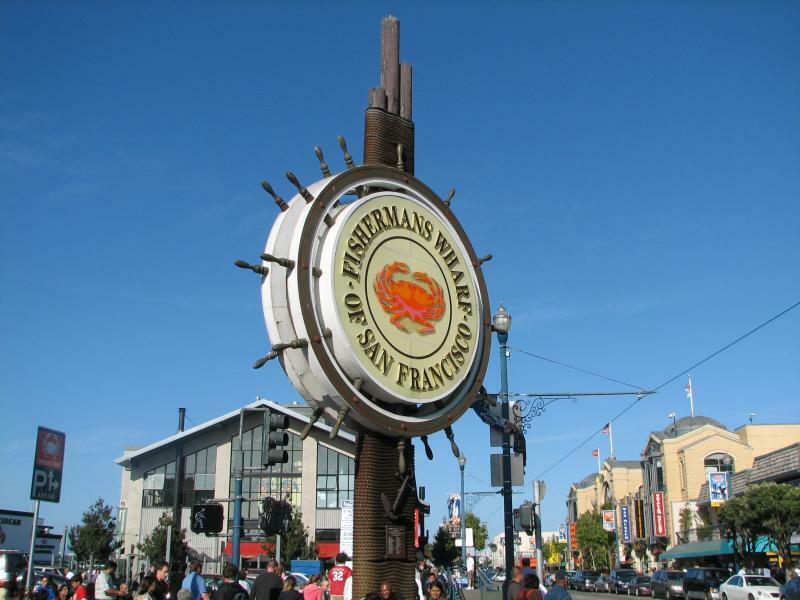 On your tour you will see Chinatown, Fisherman’s Wharf, Victorian homes, Presidio National Park, Palace of Fine Arts, and North Beach. With stops at the Golden Gate Bridge, Twin Peaks (weather permitting), City Hall, Golden Gate Park, and more. Enjoy wireless, hands-free audio entertainment where your imagination flourishes and the adventure lies ahead. Breakfast. Transfer to airport to depart. Me and my wife recently went maldives and it was a wonderfull experience with Mech journeys. Mr. Varun provide the best resort as per my requirements. Each and everything on the trip was as promised by him.